The Castle Creations B Link Bluetooth Adapter gives you access to powerful Castle Link ESC tuning features right from your smartphone! Castle Link is an essential component of customization for all Castle ESCs. While the controllers are plug and play, the benefits of fine tuning your Castle ESC through the Castle Link Programming Suite have only reinforced the sophistication and value of the Castle product line. Not only do you get the ability to adjust many variables to enhance your experience, you have the assurance that firmware updates for future features and improvements for your controller are provided at no cost to you. Discover just how easily and quickly you can reign in tuning with the release of the Castle B•LINK BLUETOOTH ADAPTER, which will allow most Castle Link compatible products to be programmed via Bluetooth enabled mobile devices using the free application, with firmware updating to be added soon. It is not possible to view data logs through the app at this time, but developers will continue to add features such as this. The initial release is supported on Apple iOS platforms only; for Android users, a version of the app will be released at a future date, and the B-LINK adapter will be compatible. 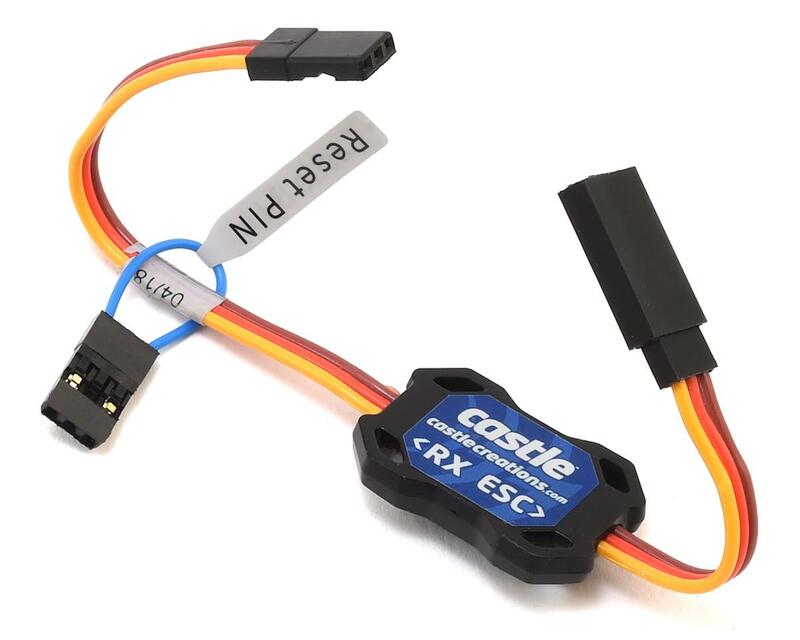 All current Castle Creations ESCs, many older units and the BEC 2.0 and BEC Pro are supported, for a complete listing of compatible ESCs and accessories please view the PDF file in the resources tab above. 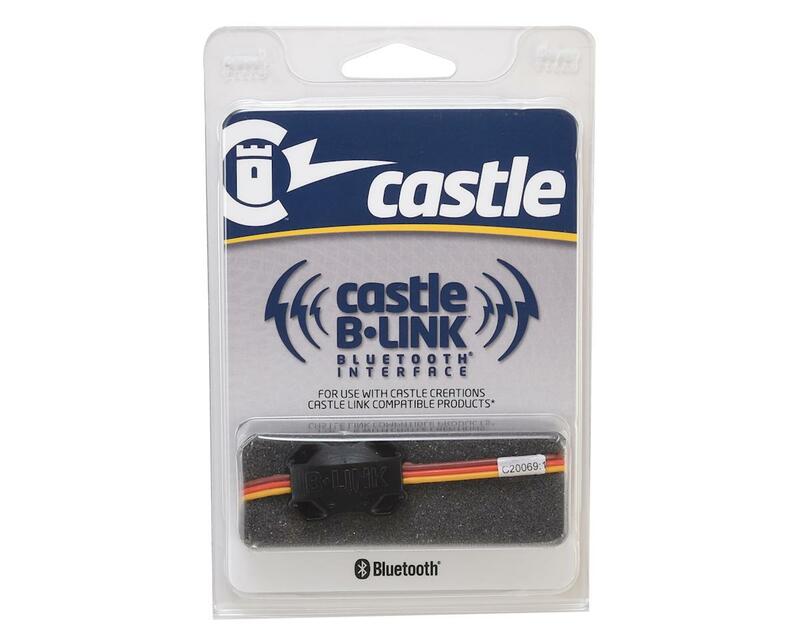 If you are serious about tuning, the B-Link has got to be the best thing you can do to your Castle ESC equipped machine. Castle link is nice and all, but some of my builds are difficult to access the receiver, so plugging in a castle link is a bit of a pain. Having the ability to install this in between the ESC and receiver, and then tune the ESC with my iphone makes this a must have accessory. I have never been able to tune my throttle, brake and drag brake profiles so effortlessly! I have 3 b-links, and as I get cars dialed in to perfection, I will gradually move the b-links to other cars until they are all perfect. The only complaint I have is that Castle didnt make this possible sooner!